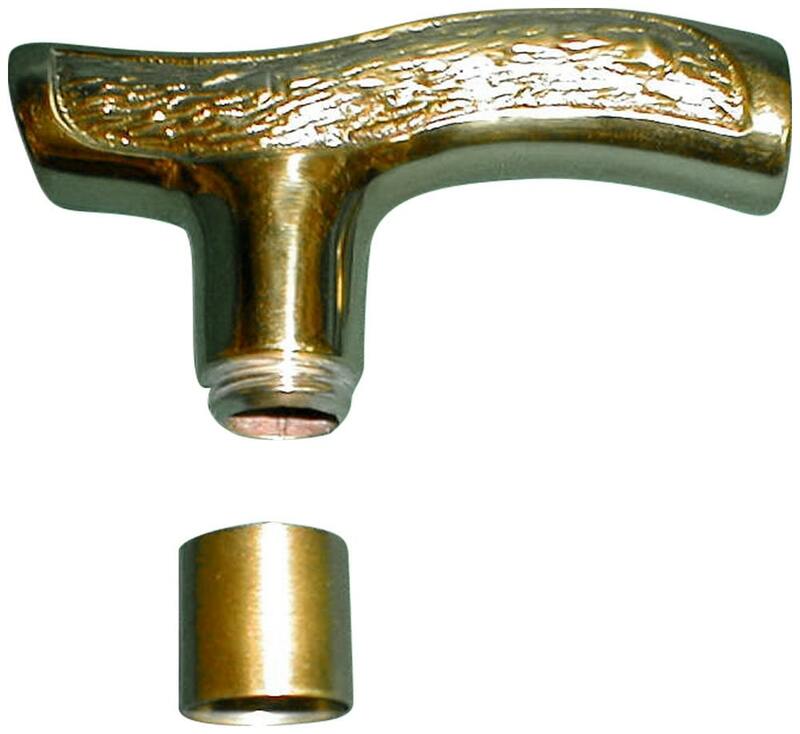 This Brass Fritz "T" Cane Handle is approximately 5 Inches long and 2 5/8" high from the Top of the Handle to the bottom of the connector and about 1" in diameter. The connector is 7/8" long and has internal threads.The outside measurement of the connector is about .930/.940 inch and the inside of the threaded connector is about .795/.805 inch. The outside measurement of the thread end of the handle is about .818/.828 inch. 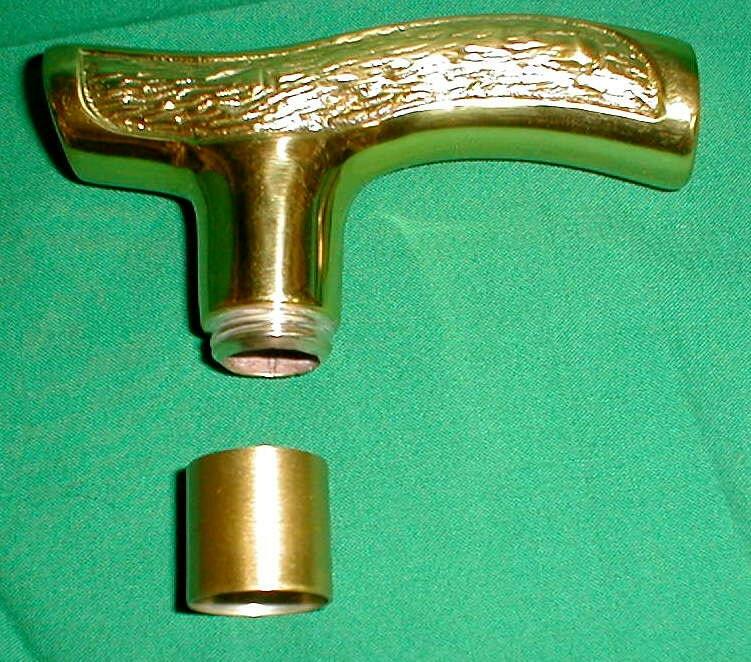 This handle has some pros and cons versus my other Brass Fritz "T" handle with the threaded rod connector system. A lot of Cane makers like this "Old Style" system as it is easier and quicker to fit the handle to the shaft by "carving " the top of the cane shaft to fit and secure the connector onto it. Once you have secured this connector all you have to do is screw the Handle into the top half of the connector and you are done. A strong epoxy should be used to secure half of the connector to the shaft top. 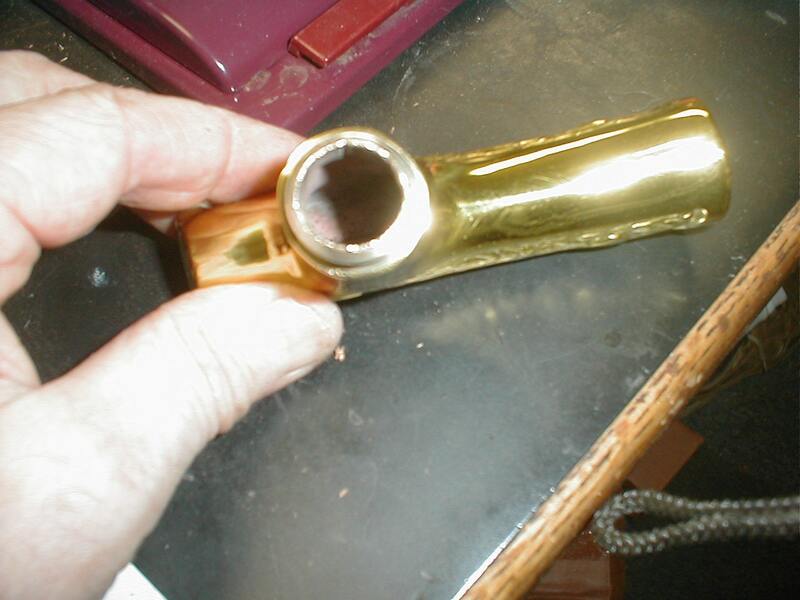 The major con is that this connection is no where as strong as the threaded rod connection of my other Brass Fritz "T" handle that I sell. 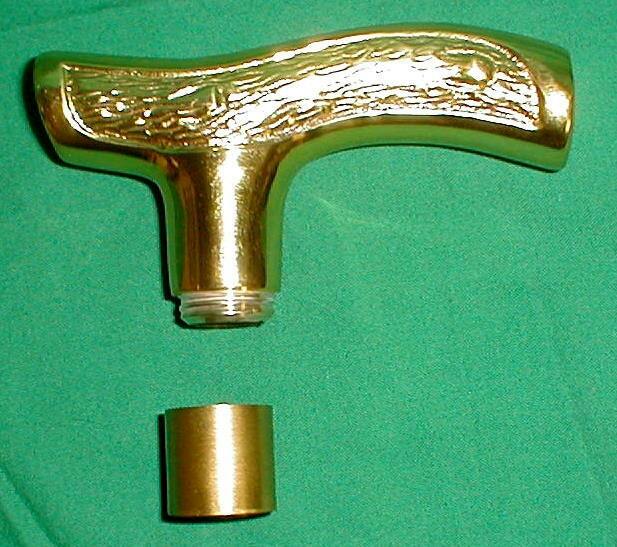 The last pro is that this handle is cheaper than the threaded rod handle as Brass content and machining is less. This style is also the style that has been made for many many years and many parts between makers will be interchangeable. It was perfect for my needs. I attached it to a very nice piece of fine wood to make a beautiful, very useful cane. Thank you! The product is first rate and the speed of shipping… excellent. Does this handle come in a smaller size? i.e. less weight?